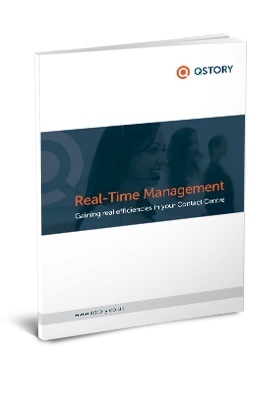 Contact Centres employ real-time teams to manually manage their daily activities reacting to the events as the day unfolds. "Stumbling from crisis to crisis is like bailing a boat with an eggcup"
Proactive real-time provides analysts with the solutions and suggestions that the team needs throughout the day, to achieve optimum service levels whilst making the most of their time. "Identifying idle time, whilst protecting service levels, is like finding free money"